The cornerstone of any eCommerce business is question – how to choose an eCommerce platform? There is no universal way, but what we know for sure – solution is never cheap and easy, moreover finding it takes a lot of time and human resources. So brace yourself and your team for tough task, turn on maximum analytic and perceptional skills and you’ll definitely succeed. Before reviewing pros and cons of available eCommerce platforms, you should define specific functional and non-functional demands of your business. You will get nowhere, if you don’t know what you expect to see at the end of the journey, right? We suggest using MoSCoW method of prioritizing project’s requirements into categories: must have, should have, could have and won’t have. As we mentioned previously, selecting an eCommerce platform will take not only notable amount of time and work, but also will cost you quite a lot of money. For example, Salesforce Commerce Cloud licencing fee could rise up to $200,000 per year and more, if your annual sales are over $20 million. This includes costs only of platform itself. In addition, consider outgoings on maintenance of a chosen platform (SEO, data management, analytics and support) and design, development & integration costs. Whether you will be outsourcing this work or using in-house team, it would be one of the highest expenditures of a project. While selecting an eCommerce platform, we suggest to evaluate them according to three next groups of needs: customer-focused, technical and process requirements. Making sure that the customer’s journey through your website will be comfortable is the key to increasing the amount of online orders. Magento is omnichannel, offering easy shopping for both desktop and mobile users. Reducing the loss of potential customers could be gained by fast page loading time and that what Magento offers – it’s initially faster comparing to other platforms and Magento 2 is even 20% faster than older versions. If your goal is expansion of foreign markets, take a note that Magento 2 is not only multilingual, but supports multiple currencies. Furthermore, your customers will benefit one-click pay, as Magento provides range of integrations like PayPal, Braintree, and Authorize.com. Salesforce Commerce Cloud (Demandware) offers not less advantages than previous platform. According to their statistics, they are currently powering around 2000 websites in 50+ countries worldwide and promising 40-60% higher conversion rates in compare with legacy platforms. Demandware is comprehensive way of managing multiple sites, currencies and languages. At the same time Intershop with it’s fully integrated web content management system meets customer’s need in detailed information about product and emotionally engaging experience. It also supports multi-client catalogs on one platform. SAP Commerce Cloud (SAP Hybris) is definitely created to enjoy the easy use and customization through its flexible and user-friendly architecture. Hybris enables generating contextual experiences, which means engaging with your customers through various channels and delivering them relevant information. Young eCommerce framework Spryker came from Germany, that’s why for recent moment it’s not well adopted to other markets, except German. Thanks to robust functionality Oracle ATG is perfect match for companies with main goal in connecting physical and digital stores and building relationship with clients through websites, social networks and mobile application altogether. Unlike previous platforms, IBM Webspheres usually does not meet customer-focused concerns as far as it offers limited amount of storefronts. At the end of the day it increases design and development expenditures. These requirements strongly contribute to the decision making process and whole team should decide which technical needs are important. Magento 2 is based on latest versions of PHP and it means that developers and online shop owners can easily modify site’s code to achieve their needs. By the way, over 24 percent of new Magento code is contributed by community with more than 315,000 members, what makes Magento the top contributed PHP platform. It also operates easily with MySQL database. Wide range of third-party services like Google Analytics and Google Shopping, Amazon Sales Channel, MSI could be integrated into the website. Salesforce Commerce Cloud has strong mobile and social integration. For example, with mobile APIs and social channels or with Apple Pay for web. Unlike other platforms, Intershop is easily integrated with back-end systems (ERP, CRM and OMS) and supports multi-clint catalogs. SAP Hybris has a ready-to-use integration of Hybris with SAP back-end product, data exchange between the systems using web services and Hybris Data Hub. Moreover, it offers SAP Hybris Marketing to analyse data, customer segmentation, building their profiles and maintains marketing recommendation based on collected data. As far as it’s hard to impress with platform’s ability to integrate with ERP, PIM or OMS, Spryker extends amount of top-notch Industry Partner Solutions to fit appearing needs of company’s strategic plan. Oracle ATG helps to reduce time and cost of project with pre-integrating features such as visual integration system and A/B testing cloud services. Besides integration with all the rest of IBM products, IBM Webspheres supports quite a lot of non-IBM platforms. As a Java product, its biggest pros is capable “open-systems’’. 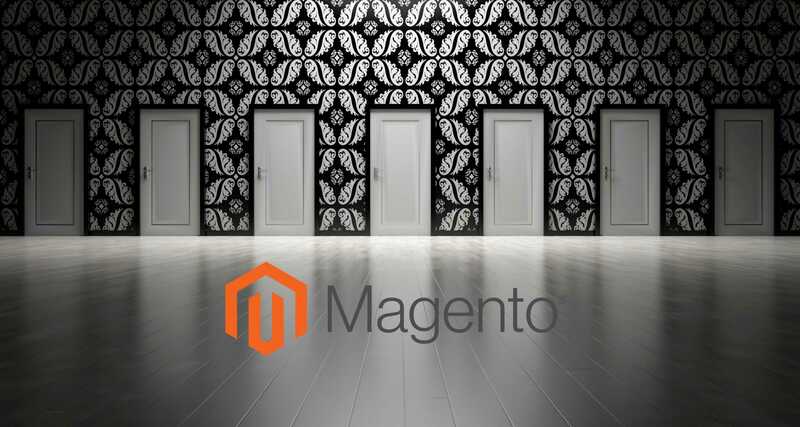 Magento is famous for being the most agile and scalable platform. It allows to perform numerous tasks including managing, editing and saving different information at the same time. An extensive reporting system, which is integrated into Magento platform by default, collects operational and purchase data. The Salesforce Commerce Cloud is a leader among platforms that are offering possibility to combine trading across digital and physical channels, even if the platform involves several sites, currencies and languages. Unfortunately, these lead to great minus – lower speed of site development. What is more, Salesforce Commerce Cloud doesn’t have a big expert community. Intershop is ready to keep the pace of your company in growing and expanding new markets. Professional and reliable help is offered 24/7, ready to manage servers, hosting, security concerns and maintenance. One of the advantages of SAP Hybris is user-friendly Admin interface, so it will be a perfect match for those who has day-to-day platform operations. Spryker is young platform, but growing fast. That means they have white zones in documentation, but it will be supplemented. Unlike previous platform, Oracle ATG documentation covers almost all issues, so if you have questions along managing your platform, you would probably find answers quickly. As it was said earlier, IBM Websphere integrates with set of different applications from IBM. That gives undeniable advantage of modernisation and extension. Selecting an eCommerce platform isn’t easy task. If you are looking for support, you might find it through talking to platform providers and independent eCommerce consultants. If you are still not clear about the question “how to choose an eCommerce platform”, don’t hesitate to contact us. At least we have all answers about Magento, at best we will have long-term cooperation with you.